All is quiet and white after another snowfall. Soon the snow plows will rumble along the street and the quiet will be punctuated by the rhythmic metallic scrapes of shovels against sidewalks. 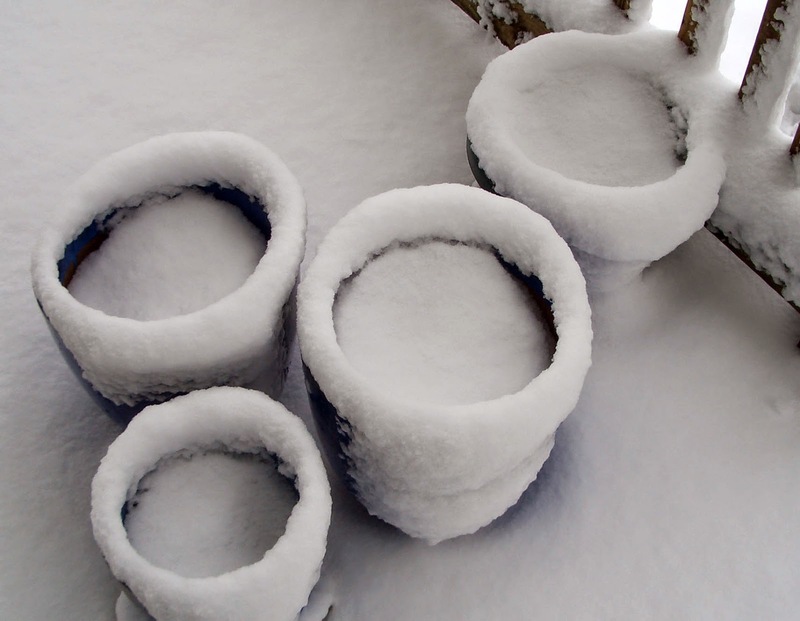 It’s hard to avoid the usual snow cliches; my ceramic pots are covered in soft white blankets of snow. No, it is crust---they are frosted. Choose your favorite analogy while I stand on the porch and admire the way the snow has transformed the perfect circularity of those pots into something more irregular, more organic and much more interesting.